Talking to people of all ages about memory, I hear one common question-“how can I have a better memory?” Much attention is being given to achieving ultimate memory as we age. New research continues to clarify that not just one but multiple efforts are needed to produce distinct brain benefits. In a recent study, researchers determined that cognitive brain training improves executive brain function and aerobic exercise improves memory. Each is a distinct and important element of brain health. Our executive function enables us to process information and make decisions which are key processes to maintaining independence as we age. Memory is that distinct component of our mind which separates us from everyone else-it truly helps create our unique identity. In the study global brain blood flow, an indicator of brain health, increased by 8% in the cognitive training participants. This increase is the equivalent of regaining decades of brain health! Higher cerebral blood flow in the memory center of the brain was noted in the aerobic exercise group. This correlated with an increased immediate and delayed memory performance. When we think about how we want to live out our older years, the fear of losing our independence or forgetting those we care about is profound. Looking at this research, we now have evidence as to how we can work to maintain these important components of executive function and memory. 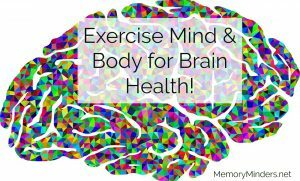 Adding cognitive exercises as well as aerobic exercise are clearly the most beneficial, yet distinctly different ways to sustain and enhance our brain. All methods to boost the brain do not produce the same results. Studies such as this point to the multidisciplinary approach which is needed to produce mind and memory wellness. These are just two of the principles we include in all of our MemoryMinders programming. It’s this multifaceted approach we will continue to champion on the path to wellness. Our new Academy subscription program helps with providing cognitively stimulating exercises and information each week. Our group programs and presentations provide information and opportunities to integrate all of these components of memory and brain wellness. Let’s heed the message of all this research pointing us a healthier brain as we age. 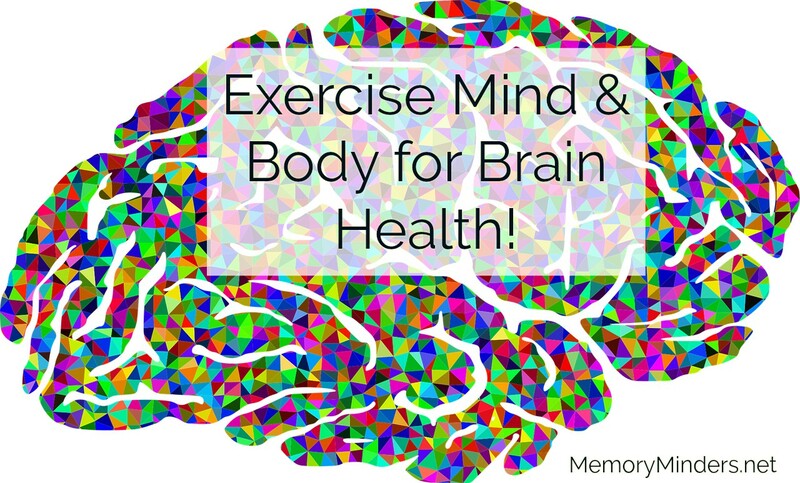 Engage both your mind and body and watch for regained and improved brain function! Sign up for weekly resources on mind & memory wellness and receive a beautiful Coloring Page as my gift to you! Welcome to The MemoryMinders Blog! that assist memory and more! A new documentary will premier Thursday on Netflix that will examine the experiences of one man as a dementia educator, academic researcher and grandson of a dementia sufferer.